Airline insurance policies do not normally include provisions for sports equipment, so travelers will need to request this coverage. It is usually available as an optional item within a packaged travel plan. Consider the extent of the needed coverage before comparing different plans, and be aware that each plan is scaled according to the risk involved. 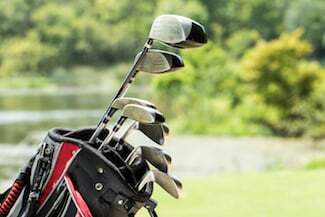 Coverage for sports equipment allows travelers a certain amount of compensation for stolen, damaged or lost equipment; however, some limits may apply. Always check with the insurance provider to determine if the coverage level is adequate. Are there specific policy terms that affect the coverage? Are certain types of sports equipment excluded from the coverage? Who will receive the monetary damages as a result of the claim? Are there any options for the deductible? Can the traveler request customized limits? Are there any aggregate limits, or per-occurrence limitations? Comparing the various plans available is easy once the traveler has made a complete list of the most important questions. In addition to the items listed above, always keep detailed records of every piece of sports equipment taken onto any flight. Traveling on an airline with sports equipment is inherently risky because many airlines require that all travelers must check their sports equipment. This increases the possibility of an unfortunate incident. Reimbursement from insurance coverage often requires travelers to produce receipts, and depreciation of the equipment may also affect the amount of the final claim payout. Purchasing sports equipment coverage might increase the cost of the insurance premiums, but this trade-off is appropriate under certain conditions. Individuals who take sports equipment onto a flight for recreational use will not require the same level of coverage as an entire sports team or an athletic club, for example. Consider the weight of the sports equipment before comparing different insurance policies. Certain benefits are available if the total weight of the equipment is lower than a specified amount. Conversely, heavy bag charges might apply to items that are above the allowed weight threshold. Each policy has different weight restrictions, so make sure to weigh the equipment before shopping for coverage.